My Top 5 Green Juice Recipes. 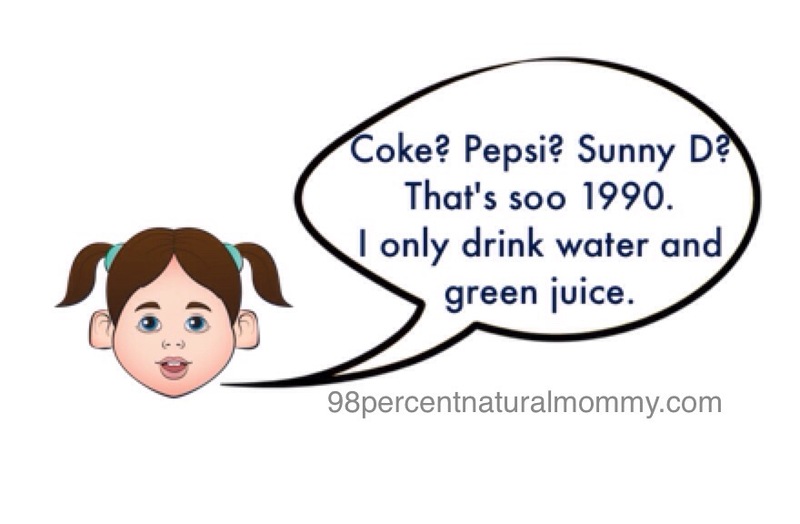 ﻿My toddler and I drink green juice every day. 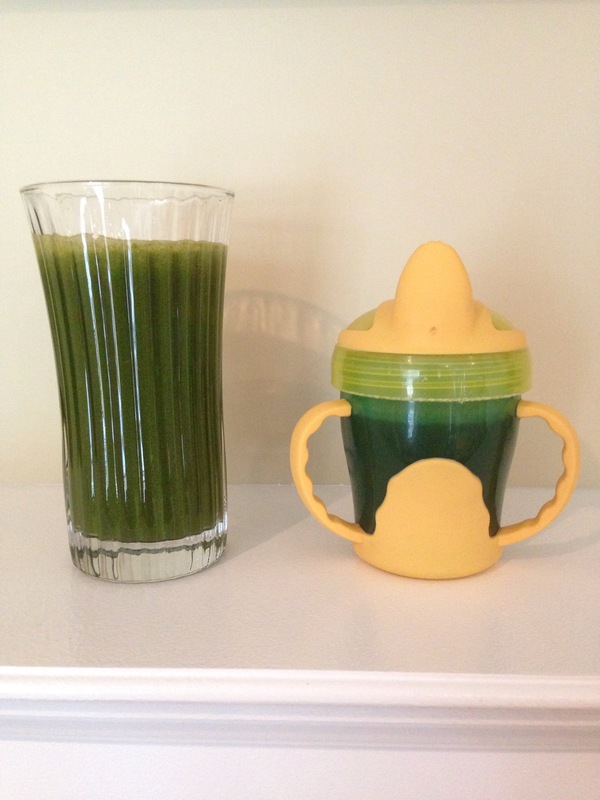 I just don’t feel the same if I don’t drink my green juice, sort of how people who are accustomed to drinking coffee every morning can’t survive without it. 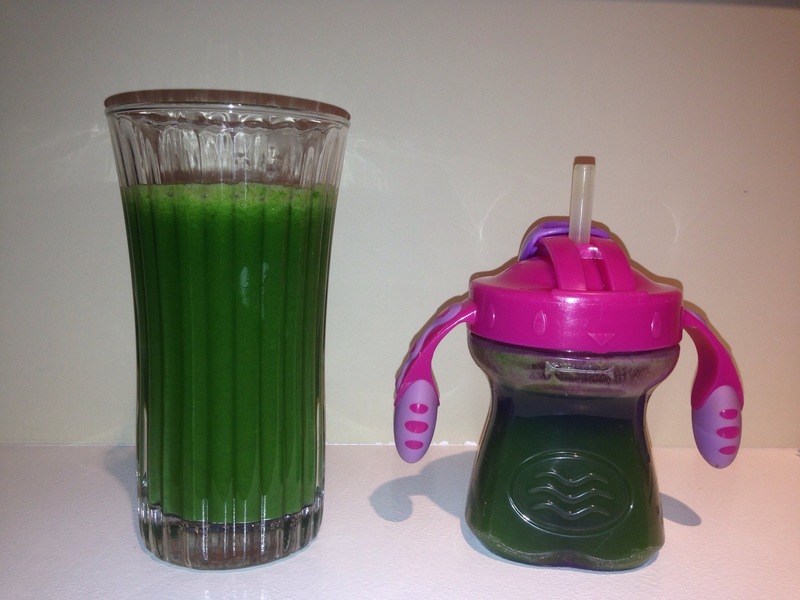 My daughter has also become accustomed to starting every day with green juice, and I’m hoping that it will remain a life-long habit. I only give her about 4-5 ounces for now since she’s just a tot. I wish I could make fresh juice every morning, but since it’s so time consuming I make 2 days worth every other morning and store the next day’s juice in the fridge. I’m hoping that when my daughter is older and more independent I will be able to juice every day, but for now I simply just don’t have the time. Although fresh pressed juice is the most nutritious, a cold-press juicer allows most of the nutrients and enzymes to be retained for a few days. Also, storing the juice in a glass mason jar filled close to the brim prevents oxygen from degrading the enzymes. I alternate between 5 different recipes, so that I’m never making the same juice more than once a week (although I do drink the same juice for 2 days at a time). This ensures that we get a variety of nutrients and also because too much of a good thing can lead to trouble. No matter how good Kale is for you, overdosing on it can still cause harm. Certain leafy greens like Swiss chard, spinach and kale have a high oxalic acid content which can cause kidney stones if you have too much. But don’t worry, you would have to eat or drink a large amount of them every day for a long period of time in order for that to happen. Just make sure that you juice a variety of greens and you should be fine. Additionally, the good bacteria in your gut help to break down oxalate acid (one more reason to eat probiotic food). Each of the following recipes yields approximately 3 glasses of juice – you may get more or less depending on the size and ripeness of the produce that you use. 2 bunches of kale leaves. This juice is the most refreshing due to the cooling effect of the cucumber and mint. 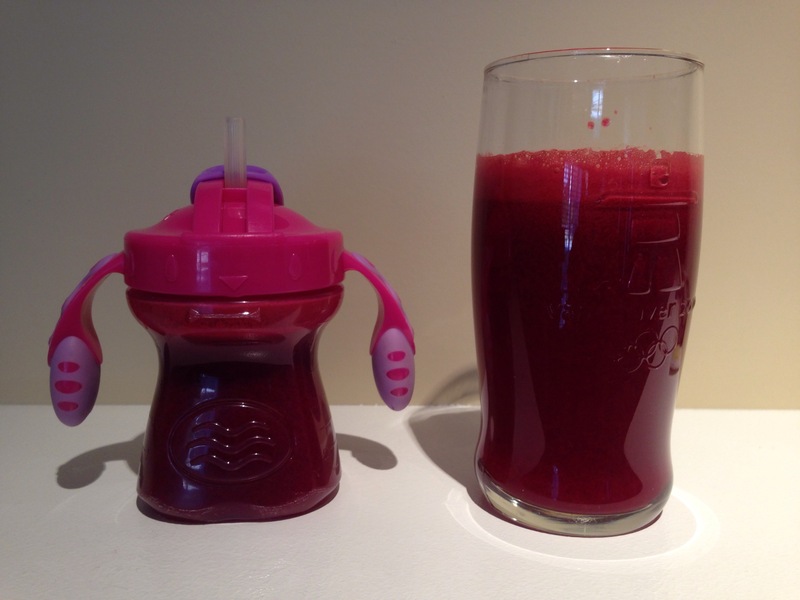 This red juice is my toddler’s favorite because of the sweetness. I find this juice to be the most bitter tasting, which is why I include 2 apples to add a little extra sweetness. 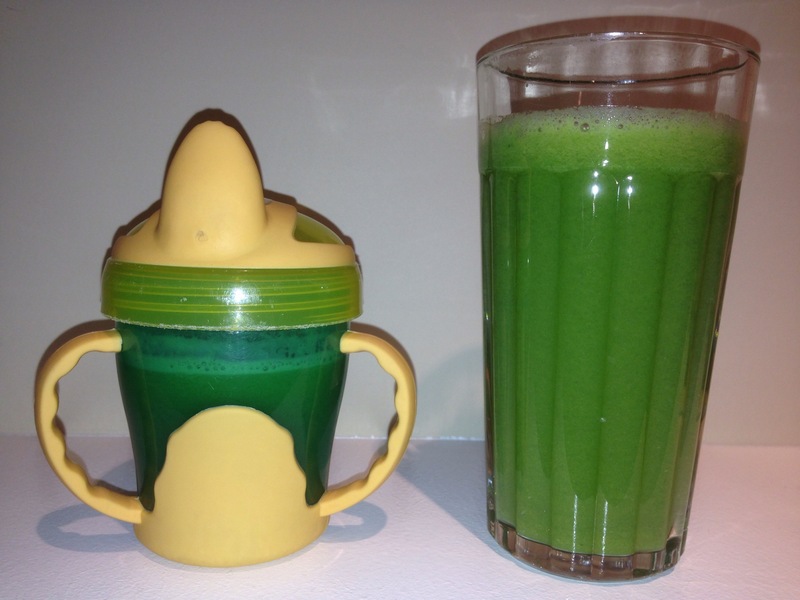 If you are new to juicing, I do not recommend this recipe as both the celery and chard have a strong taste. This one is for the regular juicers. 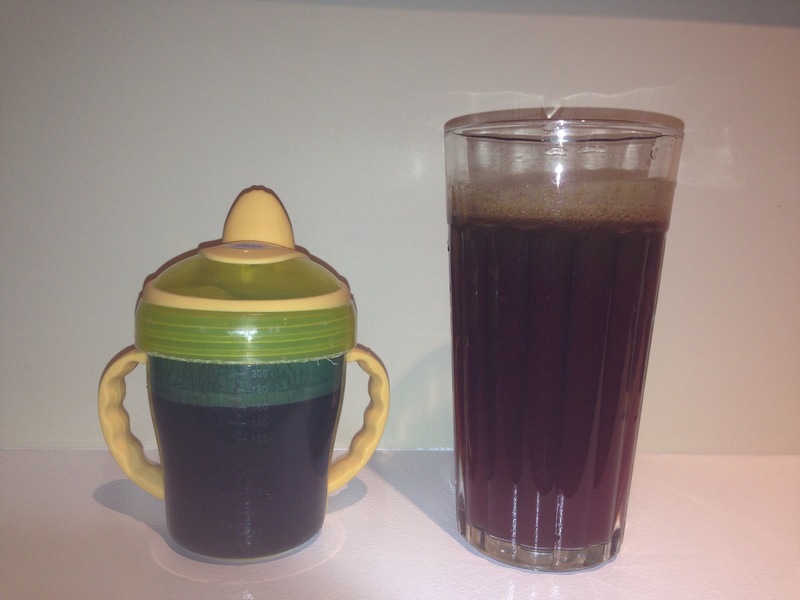 The picture shows a reddish juice because I used red chard. You can add some greens to this if you like. 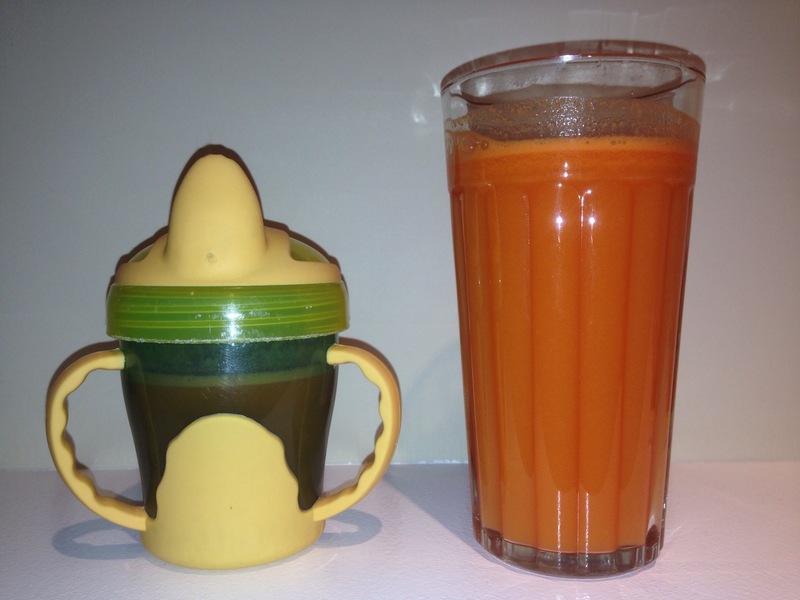 This is a great starter juice to those who are new to juicing. If you have any leftover veggies in your fridge that didn’t get used during the week, throw them into your juicer before they go bad. You can add spinach to any of these juices as well. Personally, I do not juice spinach because I already add it to my smoothie almost every day and I don’t want to turn into Popeye The Sailor Man. I try to keep a balance between the veggies that I juice and eat in the same day so that I don’t overdo any one particular vegetable. Variety is key.